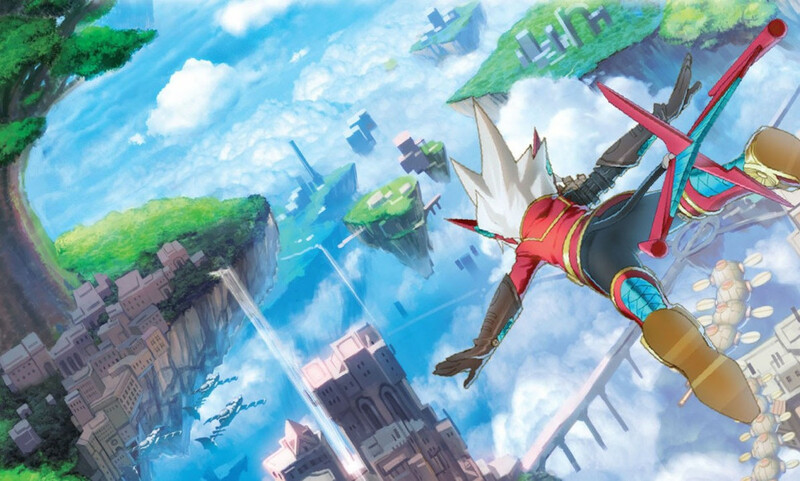 Alan takes flight in Rodea the Sky Soldier, an action game from former Sonic Team head Yuji Naka. Rodea the Sky Soldier has had an interesting and somewhat protracted development period. Originally conceived by Yuji Naka (Sonic the Hedgehog), it was in development as early as 2010. 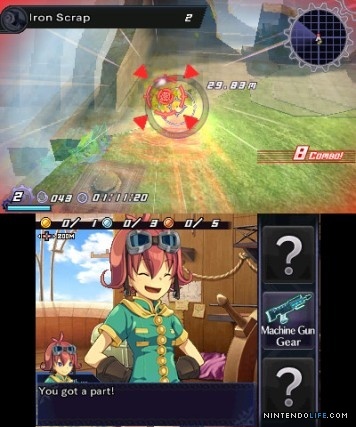 For reasons that aren’t entirely clear, the completed Wii version of the game was never released – despite being finished in 2011 – and the game has only just appeared on both Wii U (with the Wii version as a bonus inclusion) and 3DS. The story starts a thousand years in the past, with an invasion of the Sky Kingdom Garuda. Despite near overwhelming odds, a princess and her robotic companion – Rodea, the star of the show – manage to protect their peaceful kingdom. For reasons unknown, the robotic soldier then wakes up in the present with no recollection of his history; all he knows is that he must protect Garuda. As it turns out, his timing is pretty good, as the evil Naga Empire are up to their old tricks and Garuda needs a hero once again. A 3D, level-based, action adventure game, it’s part Sonic the Hedgehog – complete with strings of gold things to collect – and part something else entirely. Rodea can fly on demand, leaping into the sky then bursting off in any direction. His freedom is not unrestricted, however, as flying consumes energy that can only be restored by landing or consuming precious, limited resources. The general objective of most of the levels is simply to get to the end, a task that’s made increasingly more difficult as you progress by more complex level layouts and the traditional inclusion of more, tougher, enemies. The basic level structure is derivative, but also somewhat reassuring when considered as a backdrop to the rather more exotic traversal mechanics. To launch off in a direction after leaping into the air, Rodea must have a target or landmass locked in. Changing direction is then just a matter of changing targets while in flight and pressing the A button a second time. In theory, it’s a sound system. In practice, you’ll often find yourself unable to send Rodea where you want him to go for reasons that don’t seem entirely fair or predictable. Combat is typically about crashing into things deliberately (by pressing B), but there are also a series of unlockable weapons that give Rodea more options to draw from. Unfortunately, none of the options I unlocked – and you need to play through multiple times to unlock them all – were particularly satisfying to use. The machine gun, as an example, fires a single homing globe of light, rather than the expected burst of mindless metal. You can upgrade it with components you find during combat, but the initial version is so underwhelming, it’s difficult to summon the enthusiasm required to spend even pretend “money” on it. The problems present in the combat are only exacerbated by the truly awful camera system. You have next to no control over it – there’s no support for the New 3DS or the Circle Pad Pro – and it darts around like a thing possessed when you’re fighting. If you push your luck just a little too far and run out of flying energy while mid air, you’ll begin an emergency descent with no view of what you might (or might not) land on, leading to some inexorable, frustrating, and sometimes very long dives downward with no idea whether you’ll land on something or fall out of the world to your death. Visually, there’s little about Rodea to get excited about. It’s a very bland looking game, with a limited colour palette, repetitive textures, and largely unimaginative, low-res elements. The 2D components are nice enough, and the inter-level presentation raises your expectations with its Final Fantasy-esque aesthetic, but ultimately not much here will set your heart aflutter. Still, it’s not all bad. None of the elements are new, but Naka-san’s mix of mechanics occasionally gives you a glimpse of what might have been. The story is OK, and it’s all voiced – and in multiple languages! Listening in Japanese was a treat, and some great voice acting – along with snappy dialogue – really helps to sell the narrative. That said, it’s hard to recommend Rodea. 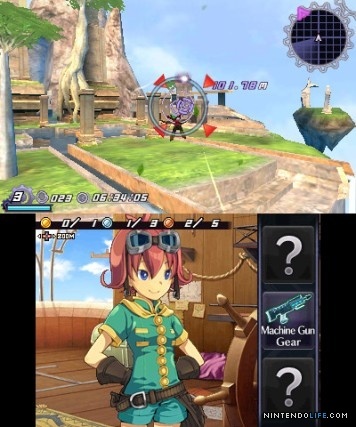 Those interested in game design or Yuji Naka will no doubt find it a fascinating example to study, but those looking for a solid, well-made action game would be better served elsewhere. What awaits them here is mostly frustration and anger, for Rodea really isn’t on a par with the vast majority of its contemporaries. Rodea the Sky Soldier has the odd interesting idea, but numerous gameplay problems betray its troubled development. Downs You probably won't fly where you want to. Disastrous camera. Unsatisfying combat. Poor visuals. Bland.